With the launch of Reliance Jio, 'Mukesh Returns' is now playing in the Indian telecom theaters after a gap of eleven years. Jio has promised cheaper data, 4G network, free voice calls and faster internet speed that will change the face of India’s telecom industry. 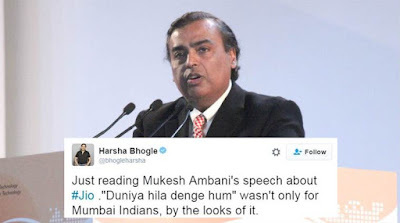 Now that Mukesh Data-bhai Ambani has cast his network far and wide, his rivals are going weak in their signals. The new release has ensured that the Triple Play of Airtel, Vodafone, and Idea is compelled to change the rules of the game. You can’t sit and watch Reliance broadband-bajao you in public, can you? With an investment of Rs1, 50,000 Cr, Jio is said to be world’s largest startup. Truly wirelessly yours. Given that Jio announced lifetime free calling at a time when 70% of the revenues come from voice, how is Jio going push the boulder up the mountain? Too good to be true, eh? For one, Reliance has built humongous digital infrastructure (designed to handle 5G and 6G) and has enough bandwidth to assert its Data-giri. This is where China comes into the picture. Reliance has picked VoLTE (voice over LTE) 4G compatible Lyf phones from China that come with a Jio SIM. Moreover, the real story hinges on the Jio apps that are currently free for you to get addicted to. While Reliance has created a capacity to take 100 million customers, initial users say Jio is in its beta stage where the speed is faster than Usain Bolt but the connection erratic. Once the initial interconnect glitches are surpassed, we will know if Jio is able to assert its Data-giri or end up revising plans. Or find itself in a hotspot. 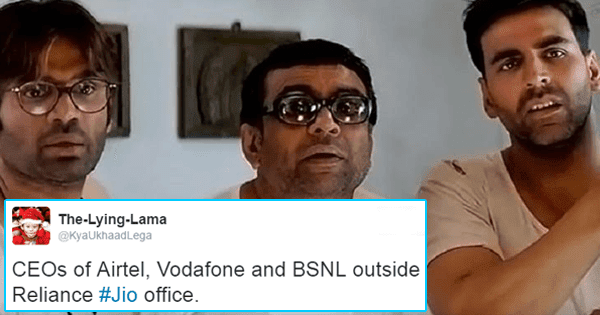 Only time will tell if Jio Bullet is able to beat the Airtel Rajdhani, Voda Shatabdi or the Idea Express! Where's BSNL, you ask? Well, the market is big enough for the the passenger trains to chug along. According to Mr Ambani, “Two hundred years ago it was electricity that changed human life. Fifty years from now when you write history, one technology that would have changed civilization would be mobile internet.” He’s right. Humans have never engaged in an activity as dedicatedly as they have in mobile internet. The arrival of Jio will change the telecom landscape in myriad ways. If voice calls are free, we could face a scenario where landlines become as ineffective as typewriters. With unlimited data and 4G speeds, what is an average Indian residing in say, Lakhimpur do? Watch movies, download songs, engage on social media, but then what? There are limited avenues to fritter unlimited data! With the telecom mavens promising a gradual but eventual shift to 5G by 2018, cheaper and faster data will create a new band of consumers. 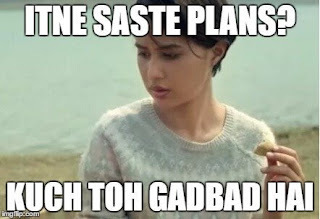 While the upper middle class users of Netflix, Wynk, and YouTube will continue to use data for shopping and entertainment, the lower middle class Hindi speaking consumer will demand content that suits his palate. The probabilities are immense, the market huge and the potential beyond imagination. But before that there is politics. And technology and politics seldom go hand in hand. While Jio promised the moon, politicians began singing the age old ditty of roti kapda aur makaan. Targeting the PM, one killjoy said that the poor need Atta (Wheat flour), not Data. Well, damning technology is unlikely to provide Atta. Embracing it can. But who wants an informed voter? An informed, connected voter is a politician’s worse nightmare.Thus began the suit boot jibes and the condemnation that the government is only for the rich. When it comes to technology, neither politics nor condemnation make for meaningful debate because the first doesn’t translate into good economics and the second is an outcome of the first. Regardless, politics cannot stop an idea whose time has come. Reliance Jio can be a formidable brand if it creates value for customers and does not fizzle out like it did in 2005. Even though the name Ambani has long been the very definition of success, the prudent are holding the champagne. They will say cheers in January 2017. Time will tell. Hope this time the business model is different from their 2005 misadventure. Wait and watch are the key words. There is already news doing rounds that Jio is starting to have issues. Yes, it's great on data, but horrible as a phone network apparently. IF it works, great. Initial glitches yes. IF is the key word. Nothing is free these days .. I am sure there is some sort of motive behind.. It is a fantastic facility if it pans out as it is claimed. Yes Indu, IF is the key word. I'm still in the wait and watch stage. Me too....let's see how this pans out. 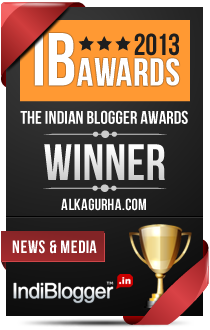 Alka, you are an angel-heart, you know. I get to read your entire posts in my inbox, thanks to the mail subscription. Oh, you have the option of changing your feed to 'excerpt only' or continue being angel-heart! AS for your bubbly, evocative post, I must say competition is always good news to customers, great competition, as provided by Data-bhai, is so much the better. Except that Reliance can leave a bad taste in the mouth. I will resist the temptation of launching a tirade against the Junior Data-bhai and his already existing company. But here is what Reliance Digital did to me when I tried to get a Jio MiFi device: It all started about a month ago when I received a proper invitation from HP in my registered email (I had recently bought a second HP laptop) complete with bar-coded number for buying a Jio MiFi instrument. The terms and conditions succinctly held that all I needed was to walk in to the store and to furnish a printout of the invite, an ID and an address proof to get the instrument. The rather large staff of Reliance Digital who were doing nothing better than twiddling their thumbs, asked me to come after a couple of hours as the 'concerned person' was yet to arrive. They did agree they had the equipment and it would be a mere formality once I revisited them. I was back there at the appointed hour but the entire staff seemed to have gone a change of heart. They all tried to convince me I would be eligible to buy the MiFi only if I bought an HP laptop. I was of course incensed and tried to talk to HP who assured me I did not need to buy a new laptop but the sales staff would not relent. I did register a complaint with "Jio care" and promptly got an auto-generated reply that my plaint will be looked into. Guess what, I never heard from them again. All right. Now, you all know how visceral I can get when it comes to forgiving. It is a component that Lord simply forgot to plunk into my hollow heart when he sent me down here (it may have been his original intention, I will never know.) I feel like chanting ‘Reliance is a scamster, Reliance is a scamster, Reliance is a scmaster’, and chant I will. Hopefully, Bharati and Voda too will mend their ways, if only for the all this hullabaloo. I am not sure of Both Sides Not Listening, however. Oh dear, that's a nasty experience. Did you share this on Twitter and Facebook? Looks like the devil is in the fine print, as usual. The good part is that competition will work in the favour of consumers. Voda, Airtel and others already revising tariffs. Oh, I resisted the temptation —you forget I am the common man. I do hope though they will crumble under the weight of their own designs. Meanwhile, I am thankful to them for the competition. Yea, the only hope for the common man is to rely on Karma. Let's see what they've designed for themselves. I heard someone saying that those who go for Jio has to submit their Phone ID No and then that No gets locked to the card. Which means in future you cannot use that phone with any other card. I wonder how much of it is true. Let's see if they can truly deliver. I don't want to celebrate over soda without fizz. Well written Alka. Only time will tell how this pan out, but tech is surely a wave now that cant be stopped. Now that I have read this, I understand what the brouhaha was over the JIO thingy. See, you alwayys make everything so simple. Start your own media channel where the Ambanis have no stake. At least, you will make sense in what the media dishes out for lessre mortals like me.